Should I Change the Name of my Book? One of the major caveats that critics level against self-publishing is that without the weight of a big publisher behind you, your book is likely to get lost among the hundreds of other indie ebooks that come out each week. Now, I agree that getting noticed in the clutter is a major concern, but the advocates of traditional publishing seem to be stuck on this old-school idea that Amazon is a gigantic warehouse storing billions of books—or the online equivalent of a hoarder’s bonus room. There’s a better way for authors to view Amazon. Not as a warehouse—or even as a bookstore—but as a search engine. Think about how a consumer shops on Amazon, versus browsing at a Barnes & Noble outlet. What’s the first thing a consumer does when she goes to Amazon.com? She clicks on that search bar and starts typing. There’s plenty of great articles that discuss how to ’Search Engine Optimize’ your book to be more discoverable on Amazon. Here. And here. And here. Through proper selection of keywords and categories, you can draw in potential readers who are actively seeking your type of book. And isn’t that more effective than placing your book in a bookstore, where 90% of the customers are just there to browse or drink coffee? This search engine democratization is another way that Amazon is leveling the playing field between indie and traditional publishers. In fact, you could say that a indie author has an advantage when it comes to Amazon search results…as long as the indie can present their book with a cover and blurb that is engaging and professional. Consider this: a consumer searches for a very specific type of sub-genre (historical fiction supernatural beach-read featuring leprechauns), and she finds two ebooks that strike her fancy, is she more likely to buy the traditionally published ebook at $10.99 or the indie ebook at $2.99? With all this said, I recently took a good hard look at the title of one of my books, Turning, and started a self-debate about the ‘discoverability’ of that title. When I searched ‘Kindle ebooks’ for ’Turning,’ Amazon spat out 1,934 results. At least twenty of those ebooks were called ‘Turning,’ or some variation of the name that was very, very similar. I had to ask myself the question: If a potential fan found out about my book (through my blog, through Twitter, or some other way) and searched for its exact title on the Kindle store, what would they do if they couldn’t find my book on the first page of search results? Granted, I’m not sure how often this scenario is likely to come up. Hopefully most readers would find out about Turning through a source that would provide a direct link to the book on Amazon. But it’s a big enough issue to consider seriously. So I started to think of names that would be more unique and more engaging on the Kindle store. It was tough, because I really liked the title ‘Turning.’ My wife did too. It’s simple, it’s short, it would stand out well on a cover. I especially liked the way that the word has a double meaning that obviously implies a transformation (it’s a story about a spirit who reincarnates itself inside bodies of its own descendants) and more subtly implies a theme of cycles and the passage of time. I played with that second meaning a lot throughout the book, with imagery of circles, cycles of the sun and moon, the tides, the idea of reincarnation and Samsara, repeating patterns from one generation to the next, on and on. First I brainstormed new words that were more specific to the story. I liked words like possession, scion, inheritance, legacy, lineage, vessel, and perennial. I really liked the word ‘succession’ because it has a royal connotation (the evil spirit in the story is named Regina—as in Queen), and it has a ‘hostile takeover’ sort of feel to it. Line of Succession. Yeah, I thought that sounded pretty good. But then, ‘Succession’ is kind of a hard word to say. And also, there were several suspense/thrillers with the same title. In the same vein of royal lineage, I liked The Living End. A historical phrase that sounds like a creepy oxymoron. But apparently there’s a popular band with the same name, which would cause a major issue with Google results, and also at least one other interesting ebook with the same name. I’ve always liked the phrase Vicious Circle, but it was also fairly popular. And I was afraid it sounded too… vicious. I liked the name Law of Possession, which I pulled from the old adage ‘Possession is nine-tenths of the law.’’ But my wife really hated that one. So what next? My wife suggested the word ‘descent,’ which also has a nice double meaning. But there were a lot of media products with that one-word title, including a horror movie called The Descent. (The first half of that film, which shows spelunkers squeezing through tiny gaps between giant boulders, was way more anxiety-inducing than the half with the cannibalistic subterranean humanoids.) What about Line of Descent? I liked the idea of a inexorable, unceasing line that’s always moving forward (or maybe downward in this case) because I think that’s a good way to describe the reincarnating villain. Although it’s a definite departure from the cycle/circle theme… Anyway, the more I thought about it, the more I liked it. 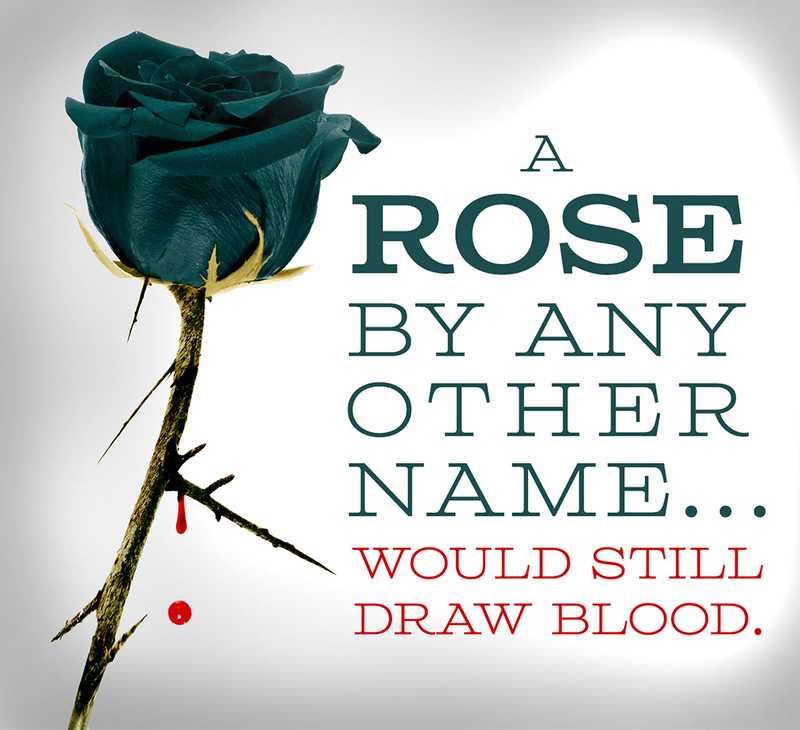 I think it’s more descriptive, more meaty—and less likely to be confused for a vampire or werewolf story. Line of Descent! Yeah! Cue the latter-era Trent Reznor music! And I’m mega-excited about getting the book out there to be discovered! I expect that I’ll soon change the ‘Turning’ tab and the blurb-page on this blog. 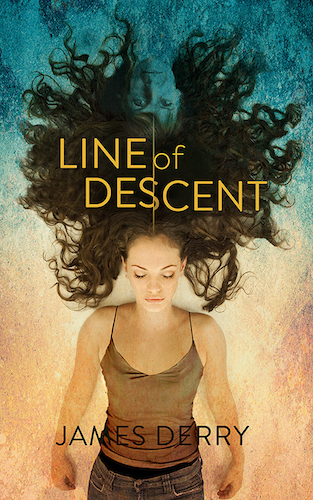 And keep an eye out for a Line of Descent promo image that I hope to use as my blog header. Here’s hoping that Line of Descent will be available for purchase by February! This is great news! I agree with you about the importance of a good catchy title, one that stands out from all the other books, but also one that perfectly captures the core of your novel. And if anything, “Line of Descent” sticks out. It peeks one’s interest and makes you curious. Good luck to you! Thanks! I look forward to reading your posts! Good luck with it. I like the new name, and your reasoning on choice of title is very sound. Thanks! I’ve been working on a logo treatment, and I’m getting pretty excited about it! Luckily I’m a designer in my day job and have all the software. Hopefully I can avoid the trap of being too close to my material, but I can’t resist the excitement of designing my own cover. Great thought-provoking post, James! I’ve been enjoying browsing and reading your blog, and think I am especially fortunate to be discovering it just when you posted your thoughts about titles. I’ve been thinking a lot lately about the “working title” I’ve selected for my novel-in-progress, The Flying Girl. SEO on Amazon and other book promotion is a key factor, I know, and I’ve wondered if my choice might be more resonant to the 1980s and early 1990s (when works by authors, such as, Robert Bly and John Lee had popularized the term “flying boy” and many women were realizing that they, too, possessed such psychological characteristics and could be called flying girls). My uncertainty also comes from an awareness that readers of different categories of fiction–such as commercial genre, mainstream, and literary–tend to expect and respond to different types of titles, and I’m still not sure where on that literary continuum my final manuscript will fall. Lots to think about, huh! Fortunately, I have time to do so, since I’ve more drafts and editing to go. On the other hand, since my blog focuses on my novel development, I think a firm title is a good idea–unless, of course, I traditionally publish and the publisher chooses a title. As I said, a lot to think about. I appreciate that your post has stimulated more useful reflection on this. Thanks! I look forward to reading more from you. Thanks for reading! I have to say that I wasn’t familiar with the phrase ‘Flying Boy,’ but I think Flying Girl sounds pretty catchy. As a reader, I think I’m often drawn in by an intriguing title as opposed to a title that is a little too ‘on the nose’ or to generically genre-ish (sheesh, what a phrase!). But like you said, the title could change as the novel continues to take shape. It is a lot to think about! You point to a key difference in the presentation of different types of literature, a point which relates to covers (which I’m sure you know) as well as to titles; genre readers want things “on the nose” while literary and probably mainstream lit readers tend to want the opposite or somewhere in between, very like their preferences for themes and prose quality found inside the books. I don’t know if you noticed, but as I sought to clarify for myself the differences between the various types of fiction writing and presentation, I wrote three or four detailed posts about the subject on my blog. It has everything to do with one’s readership target market, and is thus so important for title selection and cover design. You are definitely on the right track with your title choice, and I’m sure your cover design will follow. I’ll watch for your launch! I will have to check out those posts. Yes, I’ve heard it’s very important to affirm certain genre expectations or you can put-off genre readers who are expecting very specific things. But I think that’s tough for me, because overall I think I tend to prefer more mainstream or ‘upmarket’ versions of sci-fi or fantasy books.